There are certain prints that can be intimidating and snake print is definitely one of those for me. I am not one to normally reach for an animal print unless it’s leopard…that’s basically neutral in my opinion. 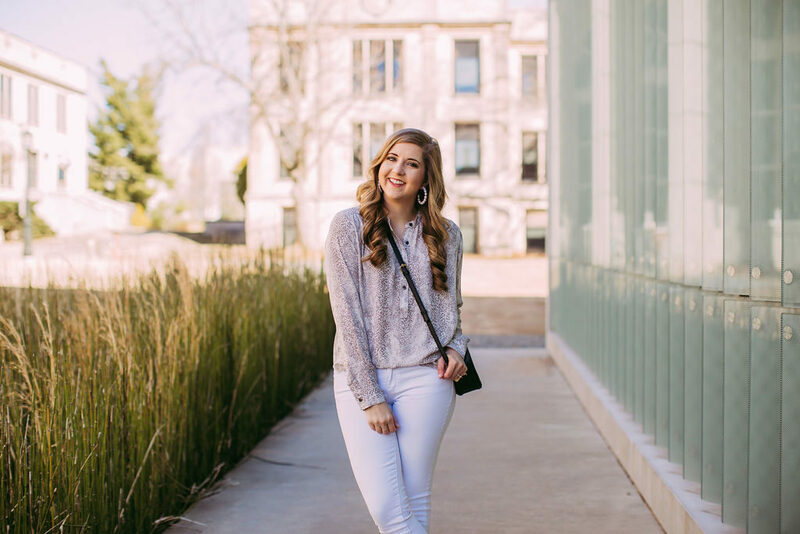 I recently received this snakeskin blouse from Ann Taylor and wanted to share how to wear snake print with a simple outfit. You could definitely pair snake print with black pants and be out the door in no time, but I went for a different approach and went with white jeans. 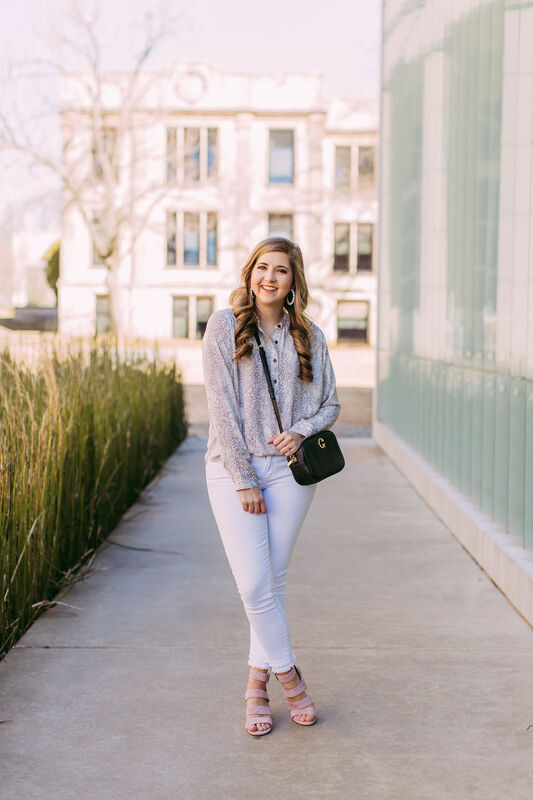 (See The Best White Jeans Under $50 here) This gives the overall look a more airy look and cuts down on the boldness of the print. It also feels more casual and let’s business with this style of blouse. Since the top and pants are pretty neutral in color I wanted to add a slight pop of color with a blush strappy sandal. I think this compliments the top nicely while still feeling very light and airy. To bring out some of the blacks in the buttons and ground the look, I went with a black cross body bag. Lastly, I stayed in the while color family with some pearl hoops to make the look feel more casual. This look would be perfect for dinner, night out with friends, or throw on some flat sandals for a more casual day time look.